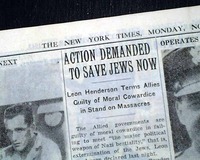 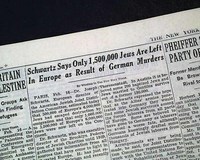 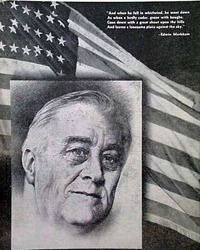 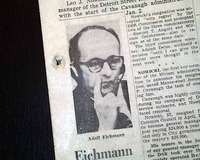 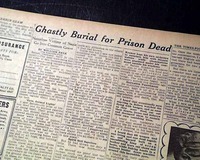 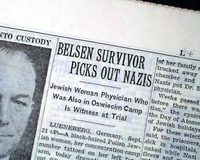 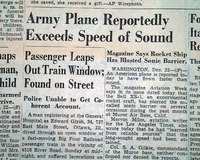 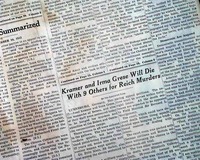 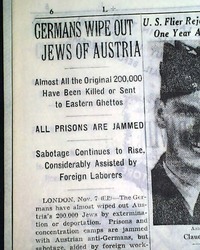 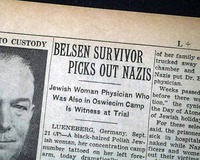 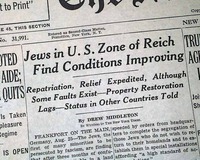 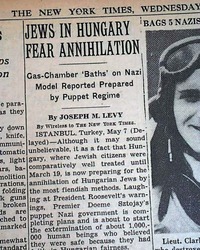 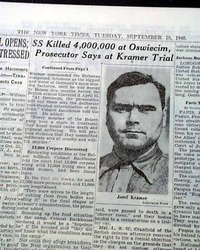 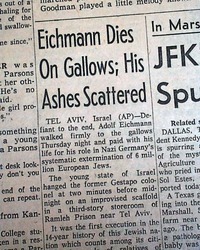 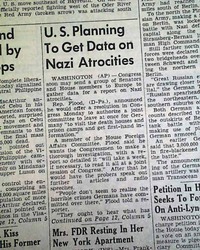 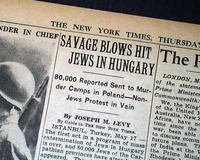 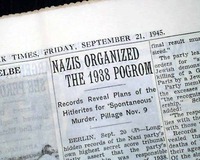 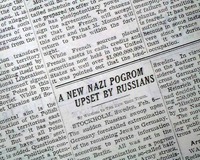 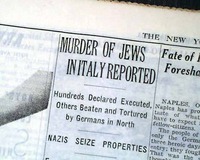 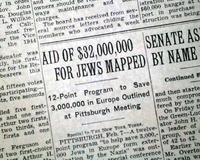 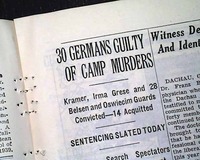 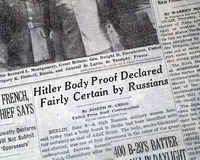 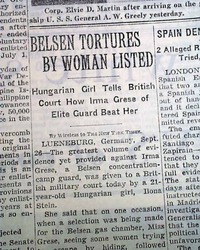 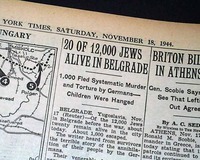 The following original newspaper issues have content related to the Holocaust, concentration camps, and trials involving those involved in these WWII atrocities. 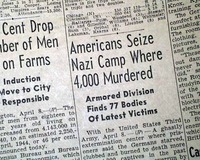 They are listed in reverse chronological order (most recent 1st). 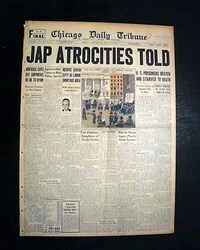 Feel free to adjust the listing options to arrange by price, issue date - "oldest 1st", most recently listed, etc.. 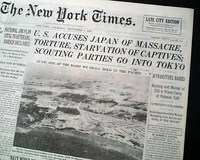 The top of the front page has a five column headline: "U. S. ACCUSES JAPAN OF MASSACRE" with subheads that include: "Burning and Murder of 150 in Prison Camp at Palawan Told. 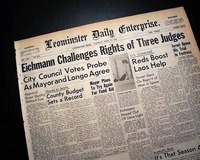 (see) Lengthy reporting continues on pages 2 & 3. 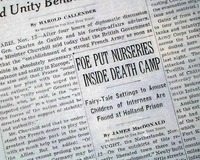 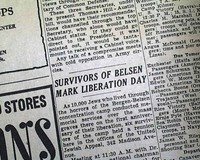 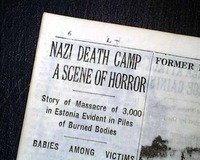 Page 16 has an editorial headed: "The Maidanek Horror" Coverage on the horrors revealed at the Majdanek concentration camp at Lublin, Poland. 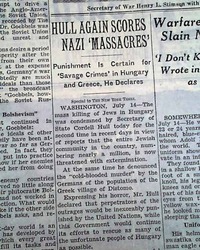 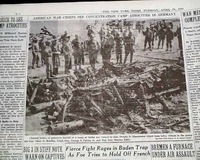 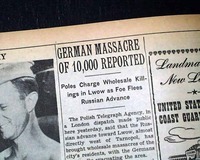 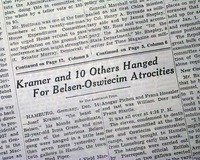 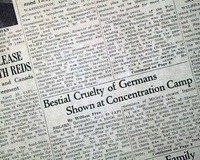 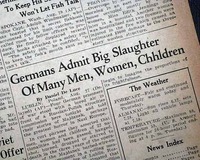 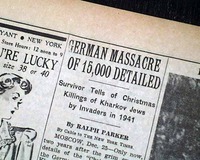 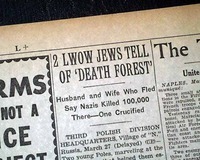 A two column heading near the bottom of the front page reads: "Germans Admit Big Slaughter Of Many Men, Women, Children" Coverage on the horrors revealed at the Majdanek concentration camp at Lublin, Poland. 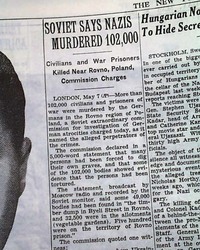 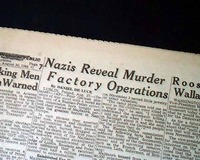 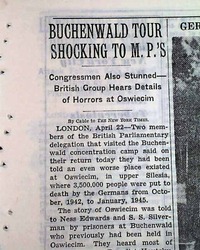 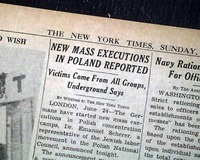 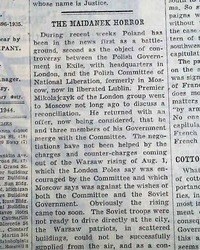 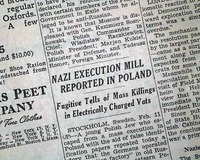 Page 7 has a two column heading: "Nazis Reveal Murder Factory Operations" Coverage on the horrors revealed at the Majdanek concentration camp at Lublin, Poland. 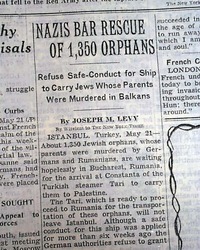 * Help on the way? 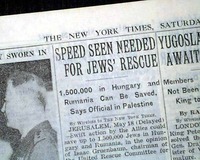 This 28 page newspaper has one column headlines on page 5: "SPEED SEEN NEEDED FOR JEWS' RESCUE" and "1,500,000 in Hungary and Rumania Can Be Saved, Says Official in Palestine"